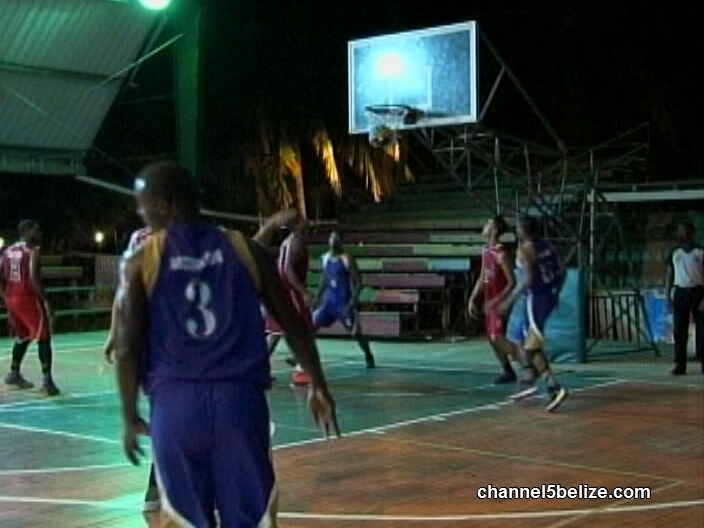 The BDBA’s Firms Division Basketball is in a rush to conclude its remaining back matches and Saturday night inside Big Bird’s Isle we caught up with the heated showdown between Central Health and the Belize City Council Dragons that was aired on July 7th. We pick up the action where if left off on July 7th. Andrew Vasquez gets the Dragons going as he attached the rim for 2 of his team high 18 points to give his team a 17-15 lead at the end of the 1st quarter. The separation becomes more pronounced in the 2nd – Sydney Bradley spots up for 2 of his 11 game points to make it a 9 point dragon lead. Down by 11 Central Health’s Travis Bernardez pounds this ball down low to Laisal Ahmad who finishes and would put up 15 points and would tie for the game high of 9 rebounds. Akeem Walters then fights his way through traffic and finishes with the left hand for 2 of his 13 game points. 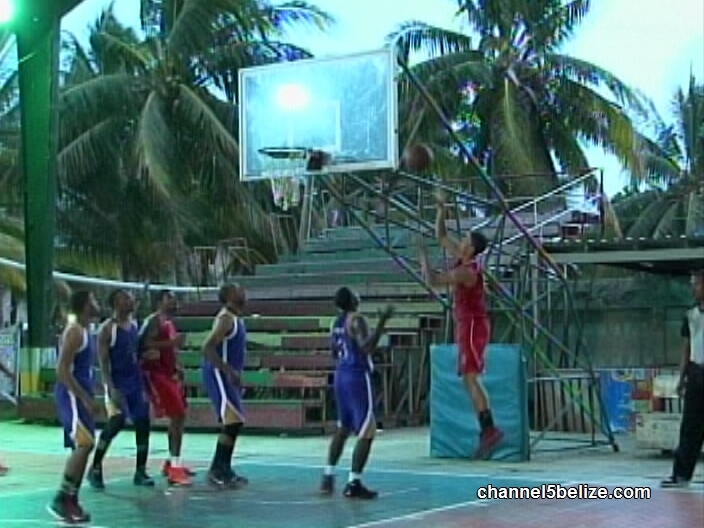 At the other end Delroy Faber operates inside the paint and he would score 10 points. Nevertheless at the half the Dragons are up by 9 points. Terry Benedict penetrates the Central Health defense and finds a friendly rim and would tally 15 points. His 9 boards was one of the reasons City Council out rebounded Central 39 to 31. Neil Nicholas gets busy for Central Health as he finds this triple. Nicholson would sink 6 of 8 three point shots and lead all scorers with 24 points. Nicholson comes back for 3 more and would pull down 6 rebounds to tie Steven Wade for the team high. However, the City Council lead remains 9 points. Central Health tried to make a run in the 4th but the steady play of Gabriel Taylor held them down. Gabriel would earn the highest efficiency rating of 25 with his 17 and 9 performance rate. There was some tension late in the 4th quarter when Travis Bernardez cuts the lead to with this lay off the glass. The difference was free throws down stretch as the Dragons demolish Central Health 90 to 84 to make it 2 in a row in moneytime because on Friday night’s ticket the Dragons gobbled up Atlantic Bank 84 to 64 as Central Health burned Heritage Bank Heatz 80 to 75. 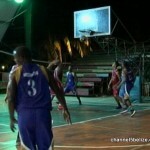 On Thursday BTL beat Bowen & Bowen 75 to 70 and Infotel trampled the Mayan Man Warriors in a 102 to 82 trouncing. Stay tuned the Firms Division tournament has moved into moneytime. 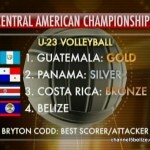 Turning to volleyball scene the U23 male National Volleyball Team made a foray in the Central American Championship staged at Panama which concluded yesterday with the National Team being locked out of a spot on the podium due to an 18-25, 13-25 and 21-25 loss to the eventual champion Guatemala who beat Panama for gold. 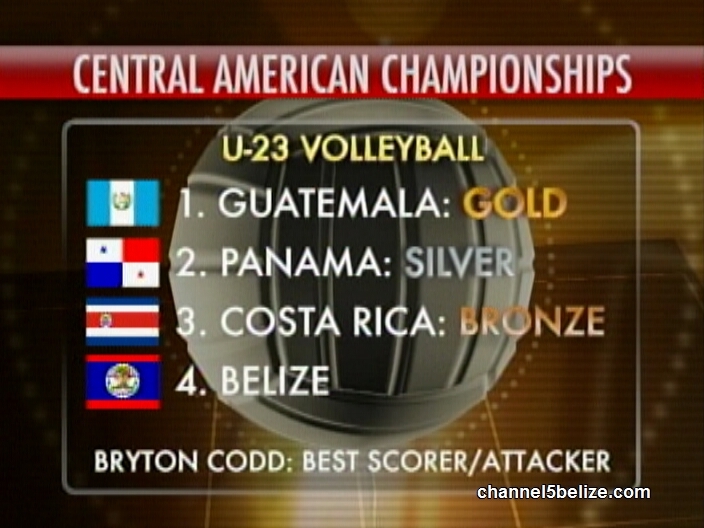 Costa Rico took home bronze. 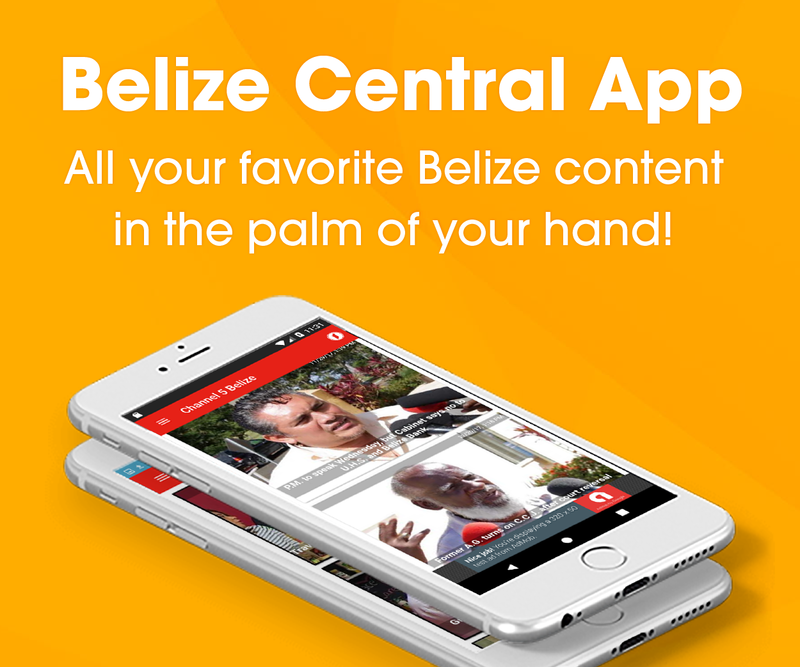 However, our team finished 4th overall and for the first time a Belizean emerged with truly impressive individual awards. Bryton Codd will be bringing home meals for the Best Scorer and the Best Attacker tomorrow from this prestigious tournament. Codd has scored the highest point totals ever recorded by a Belizean, Mr. Man you big. 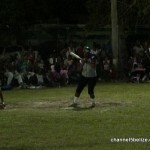 Checking in on the softball scene we caught up with play in the Belize Rural Female Tournament which staged 4 matches at Lords Bank yesterday. Here’s a look at the bottom of the 1st as UB’s short stop Elina Wade faces Margaret Hendy on the mound for Easy Does It with right fielders Kristy Terry at 3rd – Wade’s pop up should have been caught, Kelsey Robinson comes up empty – Kristy Terry brings the run home. Later in the inning Fiega McFadzean comes up with bases loaded to smack this Hendy pitch though the infield to bring in 2 more runs and UB is looking good. Unfortunately, the wheels come off, UB’s pitcher Karlene Williams load the bases after hitting Kathleen Rhaburn. She then hits Thalis Babb so Sharra Robinson walks home. Apparently Karlene had pulled a back muscle and is forced to retire. Elma Wade to short stop then comes in to take care of the pitching for UB with the bases still loaded. Elma walks to next batter and Kathleen Rhaburn trots home and at the end of the 4th Easy Does It is up 12 to 9. In the bottom of the 5th, Karlene Williams returns to the UB mound but might have needed more time to recover. Kelsy Robinson comes to bat with one on and she pitches up another rbi. Easy Does It goes on to post the 17 – 10 big W over UB Jaguars and earlier in the all-day affair had beaten then 16-12. In the meantime UB got a 16-5 W over Orchid Girls and Orchid Girls hammered Double Head Cabbage 16-6. In cycling news here’s a glimpse of the final weekend office 3rd Annual Cray Summer series. Here’s the start Cat C 9-12 years male race – a 5 laps feature that finds a lot of takers. And it’s Derrick Chavarria grabbing top honors with no challenger around. Kenyon Stanford in the runner-up and Cuba Perrote rounds out the top 3. Category B for 13 to 15 years saw the top 3 roll in a team with Bryan Polanco, Derick Chavarria and Tevin Chaplin finishing 1st, 2nd and 3rd. Six riders participated in the Female Over 12 event which featured 8 laps. And Taralee Ordonez dominates as evidenced by a solo flight in for 1st place. Ten seconds later Kaylyn Gillette took 2nd place uncontested with Sujah Swasey claiming 3rd place. 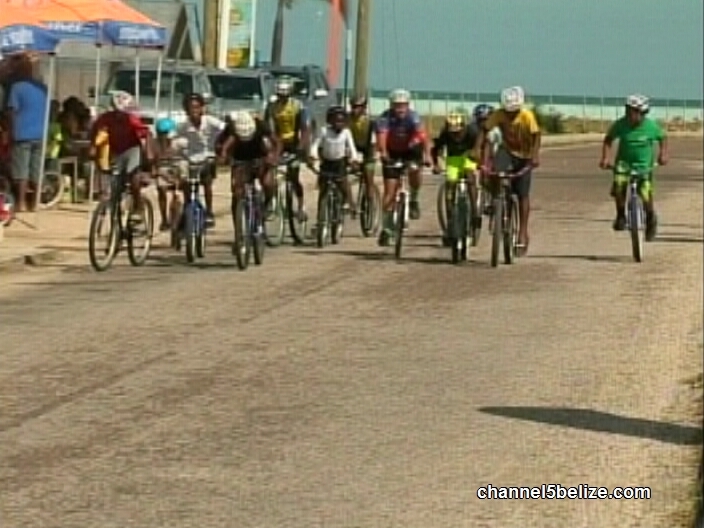 The Mountain Bike Beach cruisers race found 14 riders in the hunt for the 2 laps feature. Give it up for Nelson Zayden who blew away all comers for 1st place. Bryan Polanco then takes control of 2nd place and Triston Gentle rounds out the top 3.